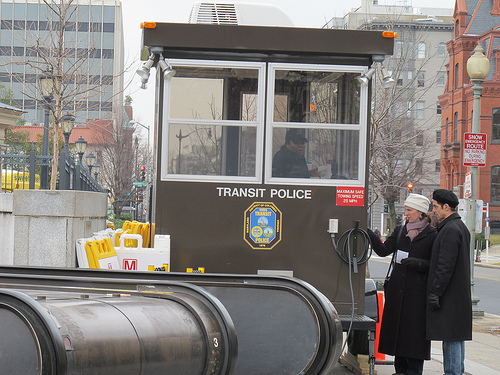 PoPville » Dear PoPville – Why the new Security Station at Dupont Circle Metro? I wanted to see if you knew what the security detail/cordoned off area at the North side of the Dupont upper platform is. There is also a new-ish security booth at the top of the North escalator. My coworker and I thought it might be in anticipation of the increased foot traffic now that the South entrance is closed, but weren’t sure. Your hunch was correct. 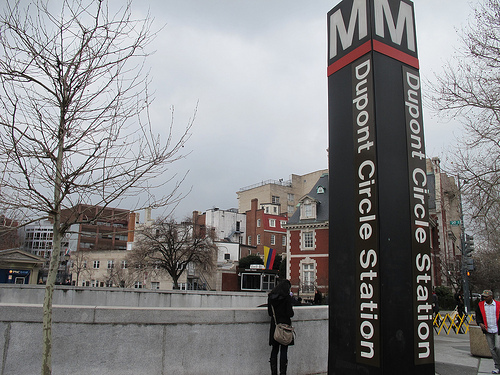 I spoke with an officer who said the detail will be there for about 9 months while the Dupont south metro entrance is closed for repairs.